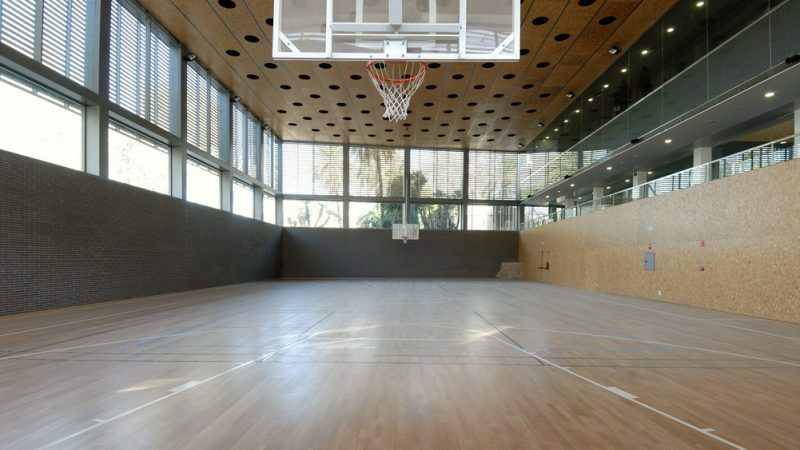 » Portfolio » Old city sports complex, Parc de la Ciutadella, Barcelona. Spain. Integration into the building of an ancient wall (chronologically this is the third of Barcelona and was part of the military fortifications built under King Philip of Anjou in 1716). The wall is a feature of the site and will be located in the basements of the new building; it will be preserved, restored and left exposed for visits. The role of the wall in the work is of vital importance in all aspects. The project and the works turn around it. 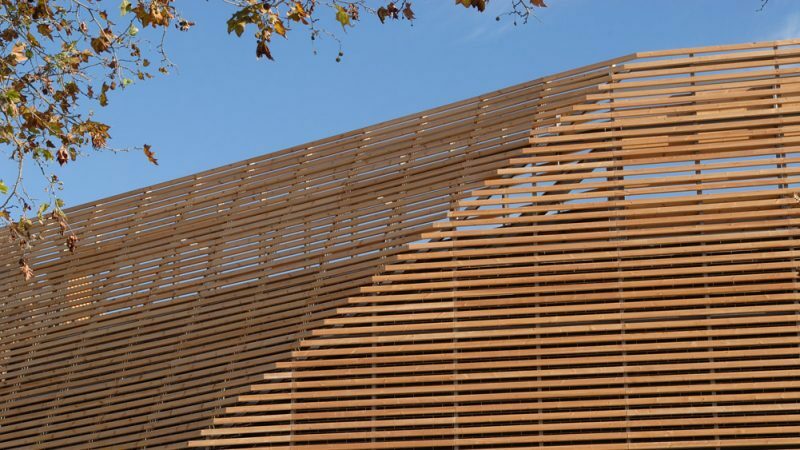 Integration of the building into the special existing surroundings, rich in nature in being part of the Parc de la Ciutadella. 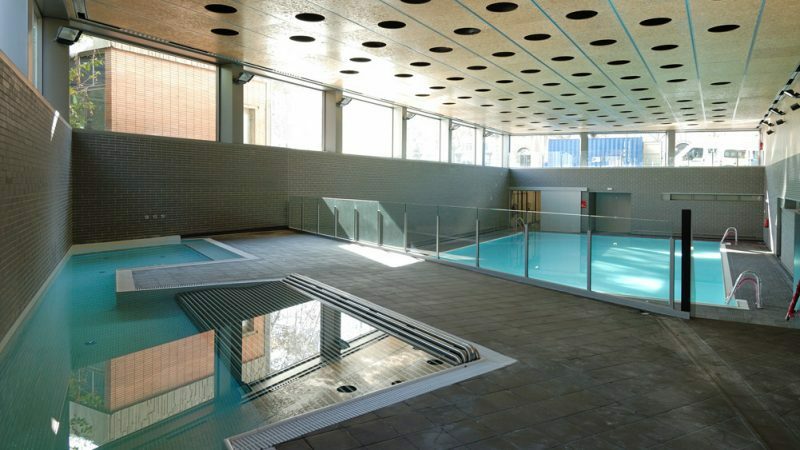 The building consists of two basketball courts (one indoor and one outdoor), two swimming pools (one in the basement and another on the roof), two staircase centres, fitness rooms, bar and other amenities. 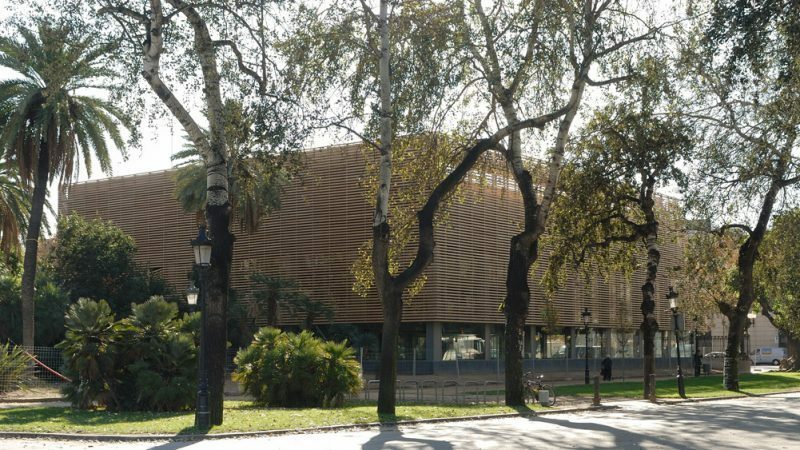 The urbanisation and new vegetation surrounding the building are of interest, given that this involves numerous movements of palm trees, century-old trees and a lake which belongs to the Barcelona Zoo, adapting all this to the new requirements of the Zoo for the thirteen cages of the new aviary belonging to the project. These cages are of a strange design, irregular and strategically placed among the palm trees, other trees and shrubs planted.